Attention nature lovers! 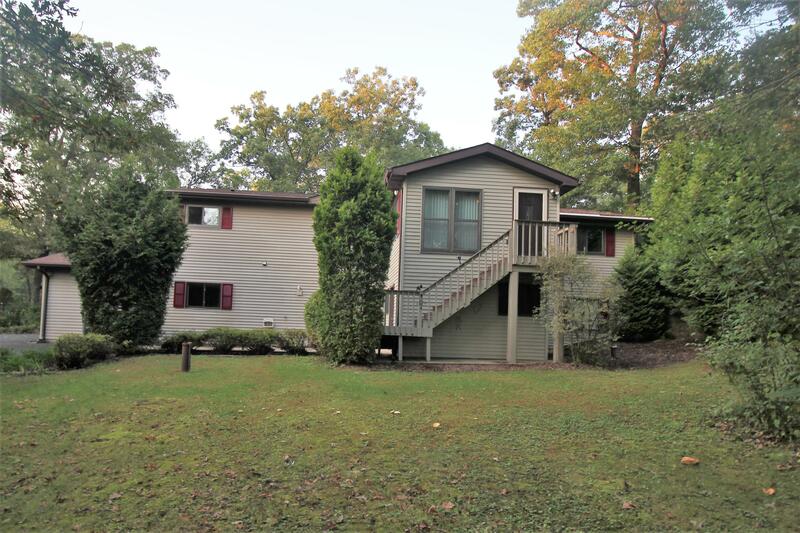 This beautiful home is located on 5 private acres with rolling hills, hiking trails and 2 ponds. Watch the seasons unfold in your park like oasis! 35'x63' outbuilding is perfect for the business owner or weekend hobbyist. Updated kitchen offers new stainless steel appliances, a tiled backsplash & opens to a large sunny dinette complete with skylights. The spacious living room has sliding glass doors that lead to patio. 1st floor laundry & updated bathrooms. Dry basement and home warranty included for piece of mind. This property is also zoned A2 for multiple different uses. You'll love living here! Welcome home to serenity!